The Bruker SkyScan 1173 spiral scan micro-CT scanner delivers better than 7µm 3D spatial resolution, with a newly developed, maintenance-free 130kV microfocus X-ray source, and improved focal spot position stability. The high quality flat panel camera (>5Mp) features a mechanical zoom and is distortion-free. The sensor is protected by a lead-glass fibre-optic window, to ensure a long lifetime under high-energy X-ray. 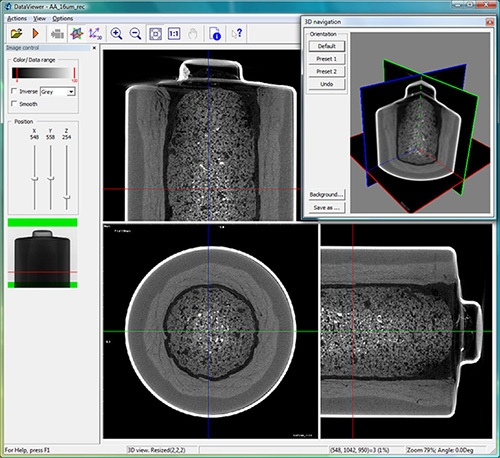 Scan low, moderate and higher density objects with 3D X-ray imaging. Using a precision object manipulator, scan large samples up to 140mm, as well as heavy objects up to several kilograms. A micro-positioning stage is embedded for convenience. Long objects can be imaged with continuous scanning. 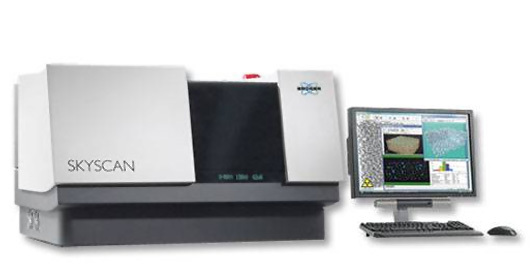 Small samples with a size of less than 50mm are scanned at less than 25 micron pixel size. Scanning is fast, taking as little as 10 minutes at intermediate resolution. The Bruker SkyScan 1173 is a true benchtop spiral scan micro-CT system, with higher energy than a typical benchtop micro-CT. It weighs only <300kg and has low running costs. It is also extremely reliable; the X-ray source requires no maintenance and lasts for more than 5 years. The scanner is controlled using a powerful PC with a widescreen 24″ UltraSharp display using TrueColour technology for superior image quality. 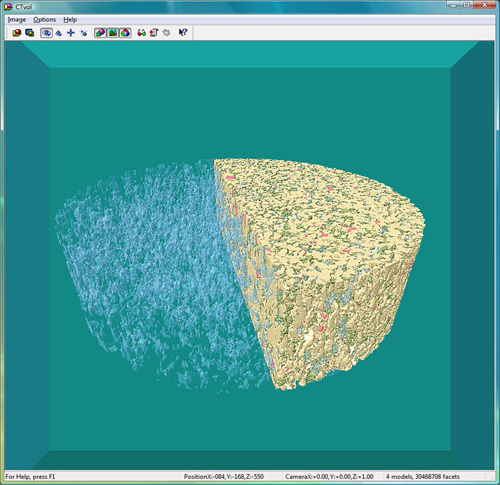 Analyse images in 2D and 3D, with impressive realistic visualisation. Three orthogonal reconstructed micro-CT slices through an AA alkanine cell.